Jürgen Klinsmann is a former German international football player how is best-known as the current coach of the United State’s Men’s National Soccer Team. Klinsmann has played for several popular football clubs in Europe as well as the West German national team that won the 1990 FIFA World Cup and 1996 UEFA European Championship. 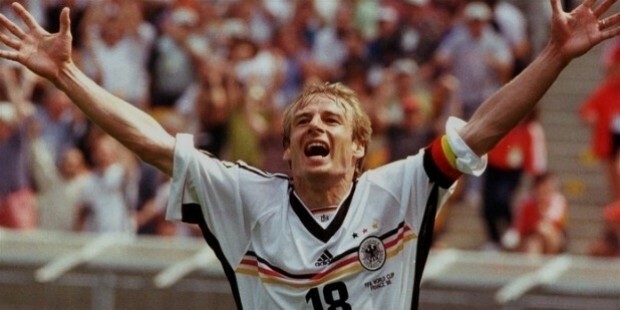 Jürgen Klinsmann was born on 30 July, 1964 in Göppingen. His family decided to shift to Stuttgart in his teenage years and is still living there. 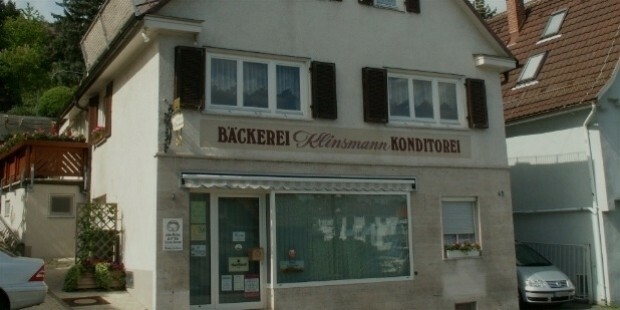 He was the 4th son of master baker Siegfried Klinsmann and wife Martha. Jürgen showed an early interest in football and started playing the TB Gingen, the amateur football club from Gingen an der Fils, at age 8. 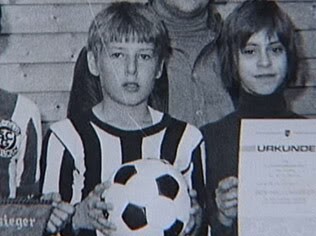 At age 10, Jürgen transferred to SC Geislingen and the family moved to Stuttgart where his father had bought a bakery. 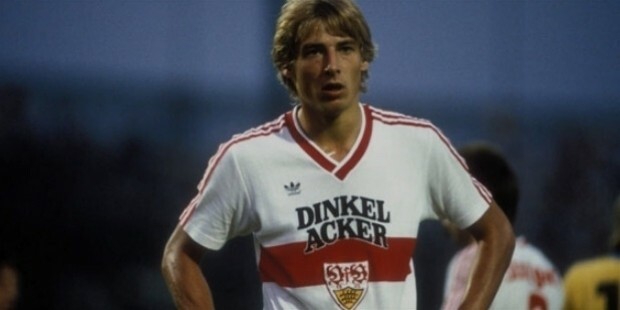 At age 16, he signed his first professional contract with Stuttgart Kickers and waited for two years to finish his baker’s apprenticeship before playing for the club professionally in 1982. In 1982, Jürgen started his professional football career in the 2nd division team of the Stuttgart Kickers. In 1982-1983, Jürgen was a regular on the team and in 1983-1984 he had scored a total 19 goals for the club. In 1984, Jürgen signed up with 1st division rivals VfB Stuttgart. He scored 15 goals in his first season with the club and was the joint top-scorer for the team. In the 1985-1986 and 1986-1987 Seasons, Jürgen scored a total 16 goals to reach the finals of the 1986 DFB-Pokal, which his team eventually lost to Bayern Munich with a score of 2-5. Jürgen scored the last goal of the game but his efforts were in vain. In the 1987-1988 Season, Jürgen scored total 19 goals and was adjudged the Bundesliga’s top goal-scorer. 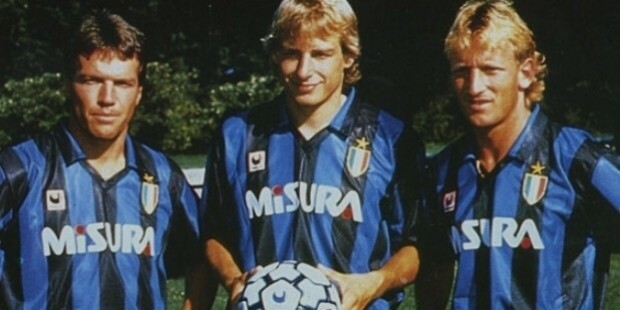 In 1988, Jürgen moved to the Italian football club of Inter Milan on a 3-year contract. Jürgen brilliant performance and 13 goals in the first season with the club helped Inter Milan reach the 3rd position in the year’s Serie A. He soon became a fan-favorite with his skills and off-field efforts at learning the German culture. In the 1990-1991 Season, Jürgen helped Inter Milan win the UEFA Cup against Roma with a score of (2-1) in a thrilling match-up. His league goal scores in the season were 14 in total. Inter Milan decided to extend Jurgen’s contract for another 3 years, until 1994. In the next season, Jürgen signed up with AS Monaco and played for the team, eventually bringing the club to the 2nd position in the league in his first season. AS Monaco was able to reach the semi-finals of the Champions League the next year but lost to Milan eventually. In early 1994, Jürgen quit AS Monaco with a year remaining on his contract. 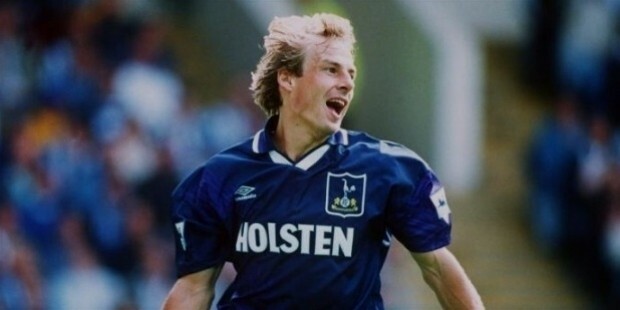 In the 1994-1995 Season, Jürgen moved to Tottenham Hotspur for the Premiere League for around $4 million in 1994. Jurgen mamanged to score a total 21 goals for the Hotspurs in the 1994-1995 season as well as 9 goals outside the league matches. Jürgen played for Bayern Munich for the 1995-1996 and the 1996-1997 seasons and was the top goal-scorer for the club during both the seasons as well. Jürgen's international career as a football player for the German national team was in 1987 and eventually he would go on to hold 108 caps, which makes him Germany’s 4th most-capped player in history. 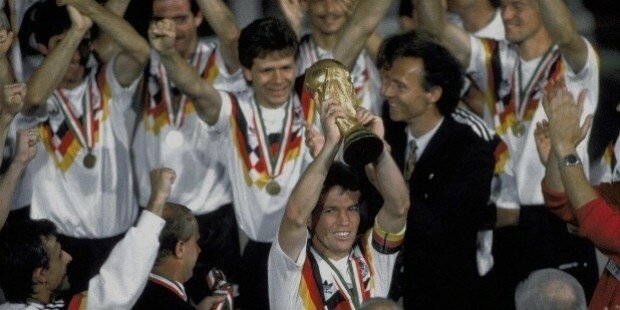 Jürgen was an important part of the German national squad in the 1988 Summer Olympics, the 1988, 1992 ad 1996 European Championships, the 1990 FIFA World Cup as well as the 1994 and 1998 world Cups. 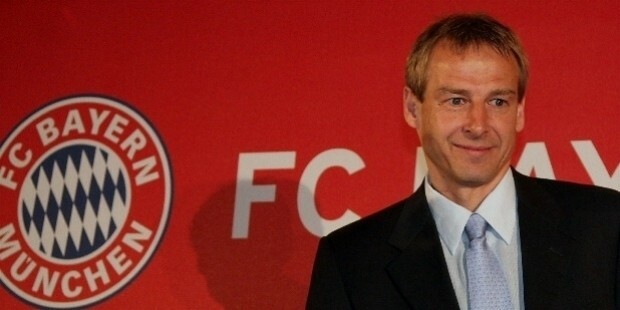 In July of 2004, Jürgen was selected to be the new head coach of the German national team and he went about making a few necessary and radical changes to the team’s management organization. In 2006, despite heavy criticism, Jürgen introduced his young team players for the 2006 World Cup who were selected on the merit of their performance and not reputation as was the norm previously. The team went on to win 3-straight wins against the team of Costa Rica, Poland and Ecuador which eventually managed to silence the critics and earned the team 1st position in the Group A. In July of 2006, Jürgen quit as the head coach and announced his decision to return to the US and be with his family. In July of 2008, Jürgen was selected to coach the Bayern Munich and was instrumental in designing an innovative player development and performance center.Bayern reached the quarter-final of the Champions League, before losing to Barcelona. Jürgen was let go by Bayern in April of 2009. In July of 2011, Jürgen was named as the head coach of the United States men’s national soccer team but his first season with the team was fraught with disappointments as his team lost 4 of 6 matches (with 1 draw) before recording a win over Slovenia in the last match.cIn February of 2012, Jürgen's dedication towards coaching came to the fore when the US team recorded a stunning victory against soccer giants Italy in a friendly match, with a score of 1-0. In 2012, Jürgen was critical in securing the US team their best winning percentage in a calendar year in the history of the team. In June of 2013, he helped the US team record its first win against another Top Two football team of Germany with a score of 4-3 in a centennial celebratory game. 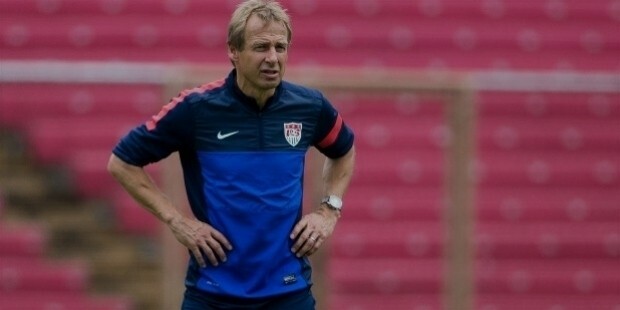 In July of 2013, he coached the US national team to their 5th CONCACAF Gold Cup victory, after defeating Panama with a score of 1-0 in the final. 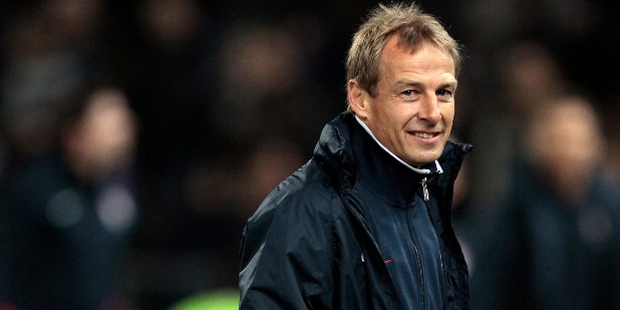 In December of 2013, Jürgen signed a 5-year extension on his contract with the US national soccer team, until 2018. 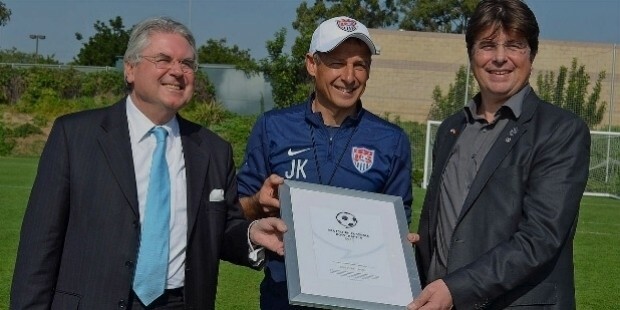 In the 2014 World Cup, Jürgen coached the US national side to its first win in the tournament’s first match against Ghana with a score of 2-1. The team went on to draw the second match against Portugal with a score of 2-2. The team eventually lost to Germany but was succeeded to the Round 16 after another winning the Group of Death match against Ghana with a score of 2-1 again. 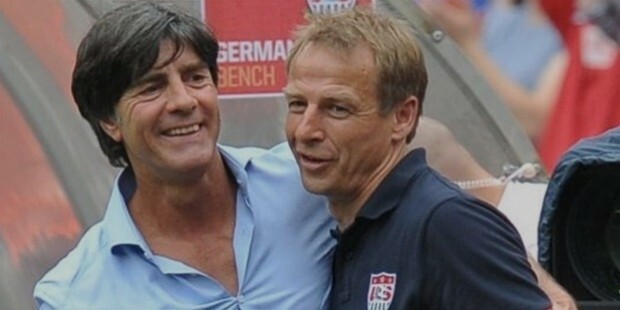 Jürgen Klinsmann is married to American model, Debbie Chin. The couple lives in Huntington Beach, California with their two children, Jonathan and Laila. Besides being a former football player and a star coach. Jürgen is also a certified commercial helicopter pilot and is fluent in German, Italian, French and English.